1. 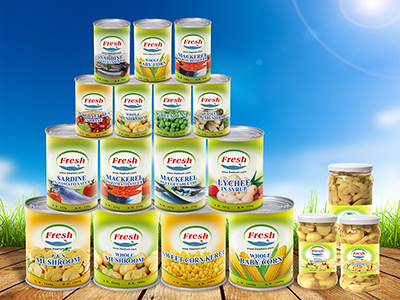 Products range: Canned Mushroom, Mushroom in drum,Canned straw mushroom, Canned sweet corn, Canned baby corn,Canned red kidney beans, Canned broad beans, Canned chick beans,Canned Lychee in syrup, Canned sardine fish, Canned Mackerel fish,Canned tuna fish, Dry black fungus, Noodles, Rice Vermicelli, etc. 2. Countries&Areas cover: Europe, Africa, Middle East,Russia,Middle Asia, Southeast Asia, North&South America.